Happy 2017 indeed as Happy Goat Coffee opens its doors today in Sandy Hill. The coffee shop at the corner of Wilbrod and Friel has rung in the New Year with an on-trend make over and brand new lease on life thanks to the arrival Happy Goat. A local Ottawa business committed to fair trade practices they source from small-crop farmers in Africa, Asia, Central and South America. The focus on small scale farmers supports ecological diversity in the crops as well as providing a truly varied selection for the artisan roaster – I’m particularly excited by their Ethiopian beans as it was this east-African country where I had my best cup. Their website includes the Legend of the Goat or how Ethiopian Kaldi discovered coffee is a nice touch. This location is jump-starting its opening while the finishing renovations and installations are in progress. On opening day seating had yet to arrive (note: the latter is expected today). And, for the moment coffee, tea and beans are the only items on offer. However, as per the Laurel St location, here too the menu will include fresh baked goods, food, a sandwich bar and varied treats once the kitchen equipment is connected. Alongside international coffee expertise Happy Goat brings commitment to community as illustrated by their integration in the fabric of the Wellington West community. We are overjoyed not only to have a local, local, coffeeshop but also to add a new vibrant member to our urban landscape. Support Local and drink coffee – Welcome Happy Goat! Last week Ward 12 resident Thierry Harris stood up at the All Candidates debate and through his questions revealed a watershed moment in terms of the imbalance between the rights of the individual versus those granted to corporate builders while the City of Ottawa stands by . Our house shook for a few months when Stewart St was torn up. The noise was incredibly irritating and slightly concerning yet absolutely nothing in comparison to what these neighbours to the St Partick / Bruyere Claridge Homes WaterStreet build have been subjected too over the last 11 months. The homes of Thierry Harris and at least 4 of his neighbours literally move and shake. The sound of industrial machinery is relentless and deafening. 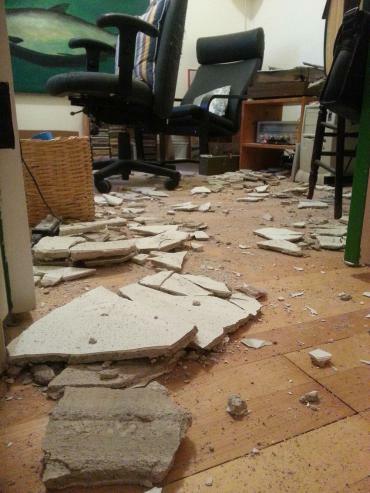 The ceiling of his neighbour’s well-appointed office has collapsed covering work and computers. Entry handles are dismantled and re-assembled when doors no longer open and close properly. Floors tilt as heavy machinery drills down underneath to accommodate underground parking. Walls with many deep cracks and crumbling portions are duct-taped to prevent further erosion and keep cold air at bay. Recently the waterproof membrane was torn from Harris’ foundations by the considerate builders of the 5-storey condo that has penned in his small yard and completely eradicate his view as the build is literally up to his property line. Citizens for Responsible Development (CRDOttawa.org) are doing an excellent job providing an online showcase for the damage, the frustration and the helplessness of these home-owners. Please visit the CRDOttawa website and browse the portfolio images and video – the few words here do not do justice to this situation. The current councillor, Mathieu Fleury, cannot advocate for these resident as he has declared a Conflict of Interest where this particular builder is concerned. However I would say this goes beyond the issues of one Councillor and one Ward. This is a City wide problem that requires action. It really doesn’t matter which ward you live in – City-wide regulation is clearly desperately needed to protect home-owners and provide clear enforceable guidelines for new-builds particularly those that dwarf and compromise the existing architecture in a neighbourhood. No one builds a two-storey town home to the specifications to withstand this sheet metal piling and drilling required for a condo tower. Harris is a Rideau Vanier resident but this could happen any where in a city where many municipal candidates and even our Mayor have campaigns bankrolled and/or endorsed by Developers. All Ottawa residents should have up-front protection against such invasive developments and stop-work regulations should be issued long before this level of damage is ever incurred. It’s time for change in regulations and it’s time for change in how elected officials fund their campaigns if residents are to expect political will in their favour. The electorate deserve representation that speaks up to protect individuals over corporations and in this instance Ottawa’s current municipal politicians must take decisive action to protect these peoples’ homes. 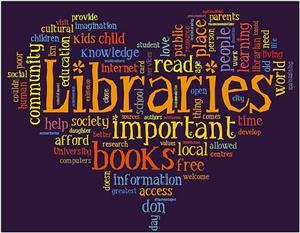 Please visit Citizens for Responsible Development Ottawa for comprehensive coverage. 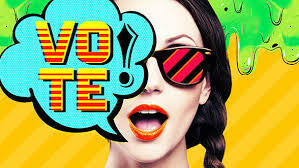 The advanced voting has kicked off and the end is in-sight for this exciting and engaged Municipal Election. 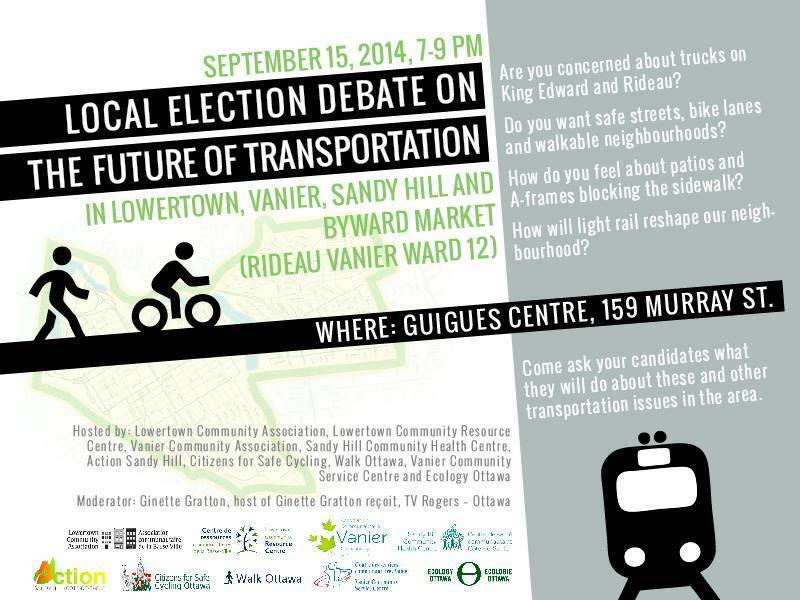 Rideau-Vanier candidates still have (at least) 3 more debates and one is tonight in the heart of Sandy Hill. So come out listen to the issues and share your own from 7-9PM at the Sandy Hill Community Centre where the focus will be on Transit, Employment and access to good food and affordable housing in Ward 12. A shout out to Vanier Community Service Centre, Sandy Hill Community Health Centre and Lowertown Community Resource Centre who organized tonight’s debate. The race for the Ward 12 Rideau-Vanier is nothing if not exciting. With many issues from homelessness, the urgent need for revitalisation, committed representation, smart place-making and increasing modal-share just to name a very few. Monday night will be the first All Candidates debate – strictly on transportation issues – in our ward and it is taking place 7PM at 159 Murray. Transportation touches on so much and is an integral part of making Ward12 a full success ensuring room for pedestrians, patios, and all modes of transit. Prep some tough questions and come here how your candidates respond.